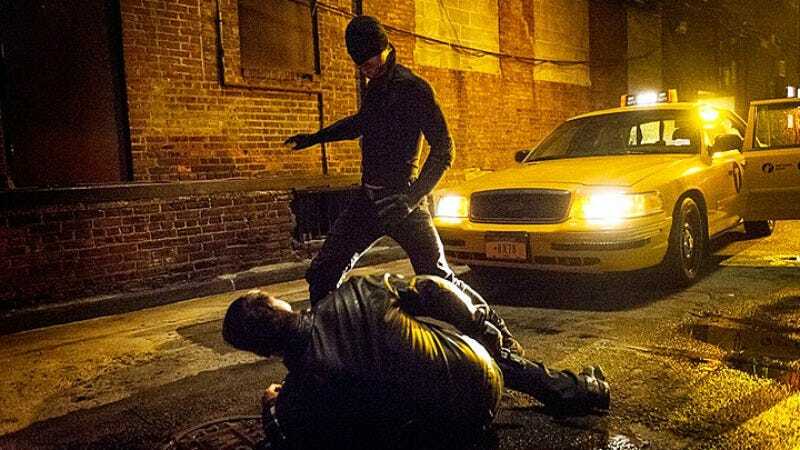 Part of the appeal of Netflix’s Marvel’s Daredevil is its gritty, adult tone. It’s a show with a high body count, lots of blood, and brutal fight scenes. Where superhero shows like The Flash and Marvel’s Agents Of S.H.I.E.L.D are more colorful and playful, Daredevil takes its cues from Christopher Nolan’s Batman films, with scenes shrouded in darkness both figurative and literal. If you found yourself turned off by the darkness of Marvel’s Daredevil and thinking about how ’90s pop-rock would lighten the mood, then you’re in luck. Set to Chumbawamba’s “Tubthumping,” you can watch Matt Murdock get knocked down, but then get back up again, because nobody is ever going to keep him down. Matt Murdock is certainly resilient, but nowhere near as resilient as ’90s nostalgia.